The Lecar Prize selection committee is soliciting nominations for future recipients of the Lecar Prize. Nominations should be in the form of a simple, brief letter, preferably sent by email to Matthew Holman. There is no restriction on the age of the recipient, though the award will not be given posthumously. Nominations received by 1 September 2016 will be considered for the 2017 Lecar Prize and will be valid for five years. The Lecar Prize was endowed by a generous gift from the estate of Myron S. Lecar to encourage and recognize exceptional contributions to the study of extrasolar planets in particular and theoretical astrophysics in general. The recipient receives an honorarium and delivers a lecture at the Harvard-Smithsonian Center for Astrophysics. The first two Lecar Prize recipients were Prof. Douglas N. C. Lin (University of California, Santa Cruz) in 2014 and Prof. Tsevi Mazeh (Tel Aviv University) in 2015. Dr. Myron "Mike" Lecar (1930-2011) joined the Smithsonian Astrophysical Observatory (SAO) in 1965 at the invitation of Fred Whipple. He remained with SAO until his retirement in 2009. Mike's research interests included gravitational dynamics, planet formation, and the dynamics of our solar system. Asteroid (4417) Lecar is named in his honor. Among his many accomplishments, Mike was particularly proud of his role in establishing the first astronomical observatory in Israel. 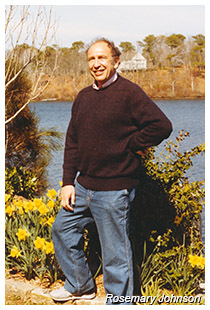 Mike was a founding member of the Harvard Origins of Life Initiative. He was a friend and mentor to many.